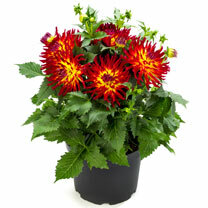 Right on trend and as beautiful as ever, our 2 litre Dahlias are perfect for compact spaces. 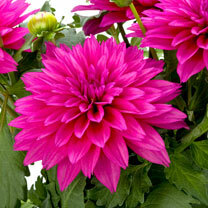 With a sturdy design and a longer flowering period, these guys are lower maintenance than traditional Dahlias, so all you need to worry about is enjoying them. 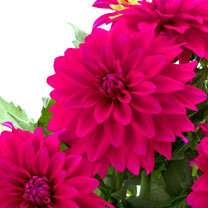 Available in five spectacular colours, the Dahlia LaBella® Maggiore makes it easy to create a colourful patio display with plenty of character. Whether you fall in love with one particular colour and stick to it, or you mix and match to create even more of an impact, make the most of our 3 for 2 offer on our 2 litre Dahlias. So, that’s the patio display sorted for summer, all that’s left to do is plan those summer barbeques so you can show them off to your friends! 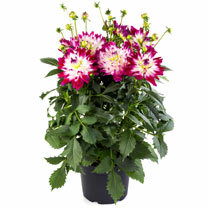 Buy 2 and get the 3rd free on all products from our Dahlias range.